Oh, what a difference a year makes. 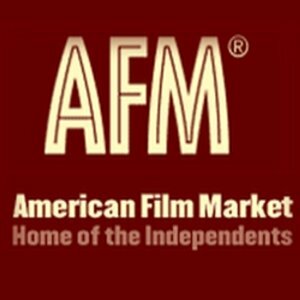 Last year, I attended the Finance Conference at the American Film Market and I heard suit after suit sound off about the beauty of having money, money everywhere! With all that easy money washing about everyone’s ankles, no one, even in their ‘dire prediction’ mode, suggested that things were going to go bad. And bad they’ve gone. What kinds of movies are we going to see in theaters in the next couple years? The short answer is that we’ll see a lot fewer movies coming out. Gill mentioned that the studios are way behind on greenlighting projects for production next year, meaning that we’ll start seeing a shortfall as early as next Fall. For the last few years, audiences have been spoiled with options at the multiplex. With eight to eleven films opening each weekend in big cities, we had a lot a choices (though not necessarily good ones) for our moviegoing dollar. Why was this the case? The main reason was excess liquidity: that’s why hedge funds and banks that had never bothered with the fickle film industry suddenly came calling, sinking $18 billion dollars into Hollywood’s maw. That pays for a lot of film stock, but what to put on it? With the advantage of hind-sight, the suits felt that there was too much money out there for our own good. And because we moviegoers have so many other entertainment options at our fingertips â€“ both legal and illegal, I might add â€“ the market could not sustain a steady flow of at least seven releases per weekend. The optimum number according to our experts? Half that. So does that mean we’ll get higher quality flicks at the movie theaters? Oh, if only. What we probably will continue to see is a steady stream of big movies with big stars. If the story last year was that you need to make a movie for at least $10 million in order to get it financed, this year the story is that you need to make a movie for at least $75 million in order for anybody to take it seriously. What the market’s embracing now is (shudder) sure bets. What kinds of films will get made? Comedies, dramas . . .? We might find ourselves watching films that are expected to do very well overseas. Since close to two-thirds of a film’s revenue is from overseas (yes, two-thirds), you can say goodbye to westerns, sports movies and comedies, which are hard to translate. According to Gill, the last two films from Steve Carell and Will Farrell grossed about $100 million here, $9 million in the UK, $3 million in Australia, and close to zilch everywhere else. Oh, and since sci-fi flicks only sell well in the US and the UK, you won’t see many of those either. Is this financial crisis going to hurt everyone in the film industry or just the little guys? There was some disagreement on this point, but the suits generally agreed that the hatchet will fall on the small guys and the big studios will persevere with the ol’ tent pole strategy. As long as the studios can corral A-list talent into recognizable properties, they should be able to weather the storm. But, indy operations trying to make non-mainstream movies? For theatrical exhibition? Fuhgedaboutit. Now that filmmakers have to be more careful about what they’re making, will they pay more attention to what the audience wants? Well, yes. But unless you’re a 12-24 year old, that audience does not include you. The sad fact is that 20% of the population buys 80% of the tickets, and it’s the kids who drive those crucial first weekend box office totals. Until we can somehow convince them to stop going to the mall, we will be stuck with Beverly Hills Chihuahua and its ilk forever. How will digital distribution affect my movie options? Now here’s some good news. Ever wonder why your small town would get a new feature every couple of weeks while the mid-sized city 90 miles away was getting four to seven a week? That would be because prints of each film cost $800-1400 a pop, which discouraged distributors from replenishing small towns with fresh product. With digital distribution, a film can be downloaded to a movie theater’s hard drive, directly from a satellite dish. It costs no more to deliver it to Wasilla than San Diego. And with a savings of about $1.2 â€“ 1.5 billion for prints and shipping each year, you can bet the industry is eager to make this happen. The result may be marvelous for small towns where there is very little to do, and very little connection with the outside world. Unfortunately for distributors and exhibitors, the bitter, bitter fights for placement on screens in theaters will become even bloodier. Is the industry going to become even more draconian about copyright protection and ‘digital rights management’ systems that don’t allow me to move my movies from one device to another? Um, yes. Content owners know that their most valuable assets are the films in their vaults, and so I suspect they will continue to use the courts and lobby legislators to increase protection of their intellectual property. Mark Amin, Vice Chairman at Lionsgate, repeatedly complained about the plight of content creators and argued that Internet Service Providers absolutely had to be held accountable for illegal downloads. If the film industry follows in the footsteps of the music industry, which they watch with a wary eye, you can expect more ad-supported films, and a helluvalot more product placement, too. What about 3D films? Believe it or not, the glasses are still a big obstacle, adding $1.3 million to the cost of each release. Amin mentioned that it would be 10 to 20 years before we wouldn’t need the darn things anymore â€“ let’s hope he’s wrong. P. Clark Hallren, Managing Director at JP Morgan Securities, which has a $400 million line of credit extended to Lionsgate, argued that 3D is not the revolution that the film industry’s looking for, but others felt that it will be a huge boon to the industry because it will increase interest in theatrical, where margins are higher than, say, Netflix. I’m sure, like me, you can’t wait to see My Bloody Valentine, the first hi-tech 3D horror film, due out January 16, 2009 . . .